The collusion of big business and big government is well-known to those who shun mainstream media in favor of fact-driven information. Over the next year and a half, we will hear much about the “pro-business” stances of presidential hopefuls, and how one party loves government while the other loves the free market. This is a circus sideshow to hide the reality that we live under an immense, bipartisan system of centralized power and wealth, and these talking heads seek only to perpetuate what has become a corporate welfare state. ‘Pro-business’ does not mean ‘free-market.’ Big business will gladly accept more regulation or less regulation if it means increasing their wealth and keeping out competitors. Politicians in both parties will gladly regulate, deregulate, and create incentives or disincentives to prop up the moguls that keep them in power. 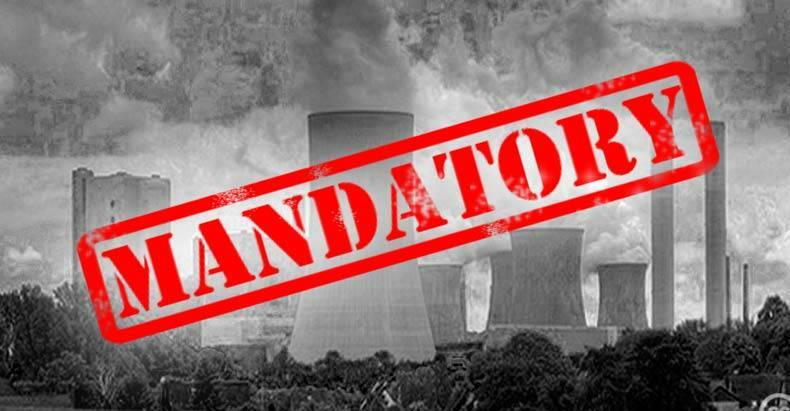 This situation is being put on display in Ohio, where a major coal and nuclear energy company is urging the state to re-regulate the electric utility industry, seven years after it pushed for deregulation. FirstEnergy wants Ohio to return to state-controlled rates, and it seeks to have the Public Utilities Commission force ratepayers to cover the full cost of electricity from its plants, even if other sources are cheaper. In 2008, FirstEnergy’s coal-fired plants were among the cheapest sources of electricity. The company successfully pushed for the state to take its hands off electricity rates, leaving rates to be determined by wholesale markets. If government is actually letting go of power, there must be big money behind it, and Big Coal has a powerful influence in Ohio. Also, just a year ago, the company convinced legislators to remove a 5-year-old mandate that helped customers use less energy through efficiency technologies. Since then, natural gas and solar prices have decreased dramatically, which is putting some traditional energy sources at a disadvantage in the deregulated market. FirstEnergy is in danger of having to shut down a nuclear plant and its last coal-fired plant. They’ve discovered that they may not like the free market after all. The company has filed a “rate case” before the Public Utilities Council, arguing that the state should force local distribution companies to buy power from the endangered coal and nuclear plants, which currently costs more than the wholesale price of power on the grid. CEO Chuck Jones had the privilege of talking to Gov. John Kasich about his dilemma. He believes that his company is so special that the state should prop it up by going against market forces and making ratepayers foot the bill. FirstEnergy’s proposed plan would cost consumers an extra $3 billion, according to critics like the Ohio Consumers Council. The closing of FirstEnergy’s coal-fired plant would be part of a natural inevitability as we transition to renewable energy. Coal is the dirtiest form of energy; its costs to human health and environmental health are externalized. Coal mining has fueled the epidemic of mountaintop removal, where miles of natural habitat are utterly destroyed to get at the fossil fuel. With these ill-effects being realized, and with the fact that renewable energy prices (especially solar) are falling rapidly, forces still seek to keep us in an energy dark age. The state could take this opportunity to retain its power over the market, assuming the right lawmakers are bought off by coal and nuclear interests. Only through awareness can we work against government and big business coming together to preserve old, dirty energy sources in opposition to free market forces.